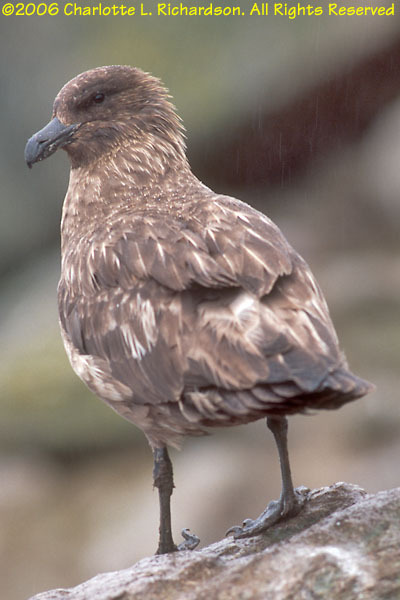 A cross between a gull and a hawk, skuas nest on the edges of penguin colonies. 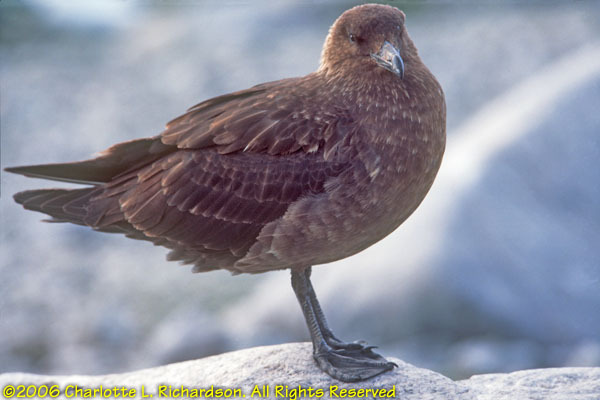 They have webbed feet with strong talons and a sharp, strong hooked beak. 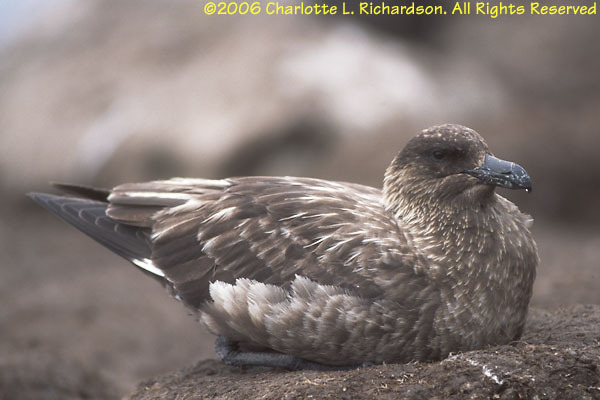 Skuas eat carrion, kill unwary or unguarded penguin chicks, and steal regurgitated food being delivered by adult penguins. They are bold and territorial. 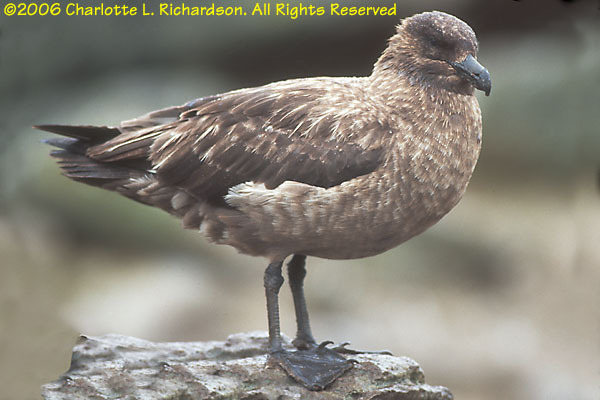 The south polar skua is the only bird to have been sighted at the south pole itself. There are several color morphs. 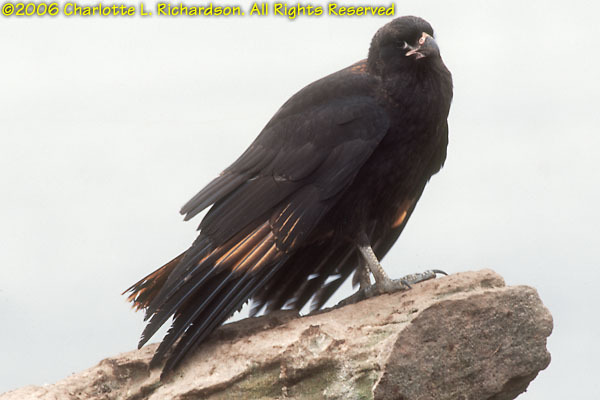 Bold, mischievous, hawk-like bird of the Falklands. 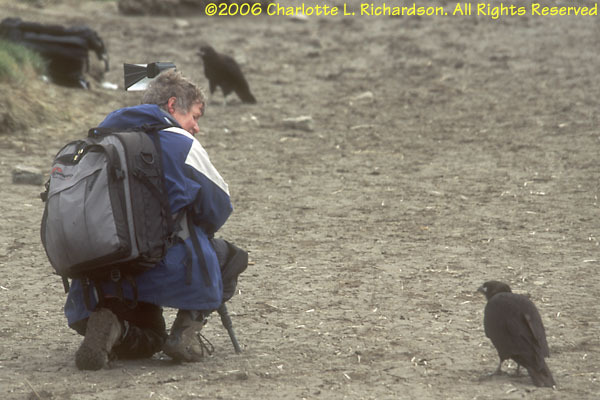 Johnny rooks are inquisitive and quite tame.